Beautiful Words On The Beautiful Game! Another dismal home defeat and a performance without goals or goal threat. West Ham's 3-0 reverse at home to Chelsea increases the pressure on Big Sam. Kevin Hatchard's piece written the Friday before Chelsea is equally applicable now. Big Sam needs luck with injuries and a tactical rethink to avoid trouble at t'Boleyn. When you look at the betting markets regarding which Premier League manager will be the next to lose his job, the odds available tell an intriguing story. Fulham’s Martin Jol is the odds-on favourite – his position has been further weakened by the installation of Rene Meulensteen as head coach – while Norwich’s Chris Hughton is 6-1 second favourite. Where do West Ham's goals come from? While the white-hot glare of the media spotlight has been consistently trained upon Jol and Hughton, West Ham’s Sam Allardyce has been able to exist fairly peacefully in the shadows, and he is a hefty 25-1 to win the “sack race”. This appears to be a strange state of affairs when you examine both the Premier League table and recent results. West Ham are 16th, only out of the dropzone on goal difference. They have ten points – the same tally as Jol’s Fulham and one point fewer than Norwich, who beat the Hammers 3-1 in the most recent round of Premier League fixtures. That defeat at Carrow Road has alarmed some fans, as it featured an inexplicable second-half collapse. At half-time West Ham were 1-0 up and cruising, but after Jussi Jaaskelainen made a rare error and conceded a penalty, the claret and blue wheels came off. A midfield that had played calmly and intelligently in the first period resorted to panicked hoofs upfield, which allowed the home side to get a grip of possession that had utterly eluded them in the first half. This unexpected midfield meltdown put intolerable pressure on a defence that was missing its best performer Winston Reid, and it starved a strikerless formation of any attacking thrust. Glass half-full optimists will point to West Ham’s exceptional defence, and they are right to do so. The Hammers had one of the best defensive records in Europe’s top five leagues ahead of their fateful trip to East Anglia, and they have kept an impressive six clean sheets in 11 league games. However, with towering aerial presence Reid potentially out of action until the New Year, his fellow centre-backs James Collins and James Tomkins will feel the weight of responsibility. It is at the other end of field where West Ham’s real problems lie. They have scored just nine Premier League goals in 11 games, and have failed to score in six of those matches. Allardyce has persisted with a 4-6-0 formation in recent weeks, and barring the notable exception of a 3-0 win at Tottenham, this tactical set-up has failed to yield many goals. 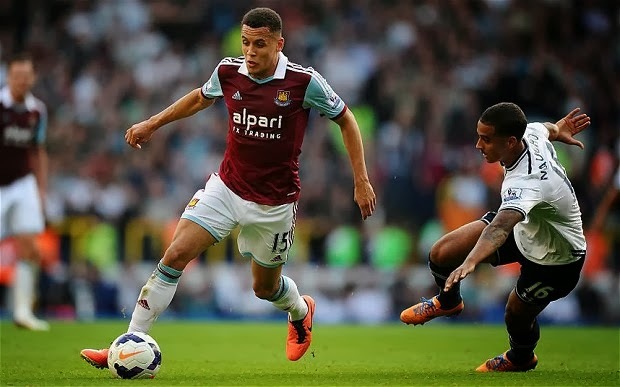 Rising star Ravel Morrison is the club’s top scorer with three league goals, and none of his fellow midfielders have scored more than once. Morrison and Kevin Nolan are the most advanced midfielders in the strikerless formation, but Nolan has huffed and puffed his way through the campaign. Of the 20 shots the veteran has attempted, just four have been on target, and he has had the look of a faded boxer who has accepted one fight too many. 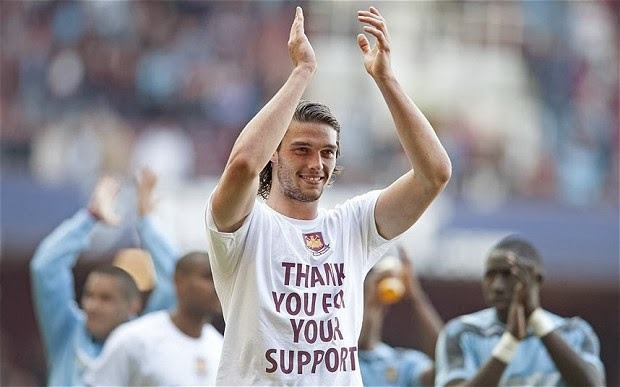 Allardyce has fairly bemoaned an unfortunate injury list which has featured the name of star signing Andy Carroll since the start of the season. An unusual foot injury has sidelined a man who the Hammers’ entire style of play is geared towards getting the best out of. While it is understandable that the vast majority of Allardyce’s transfer kitty was spent on securing Carroll’s move from Liverpool, the motley crew of backups at his disposal warrants scrutiny. It’s been clear for some time that Allardyce doesn’t have much faith in Modibo Maiga, as he has granted the former Sochaux forward just eight Premier League starts since he joined the club in the summer of 2012. Ricardo Vaz Te and Mladen Petric are both injured, so the focus has shifted to the curious case of Carlton Cole. Released by the club in the summer, he was then re-signed on a three-month deal. Cole has never scored more than ten goals in a Premier League campaign, and he hasn’t hit double figures at the top level since 2009. Such muddled and apparently ill-conceived business is out of keeping with a manager who has built a career on transfer acumen and attention to detail. 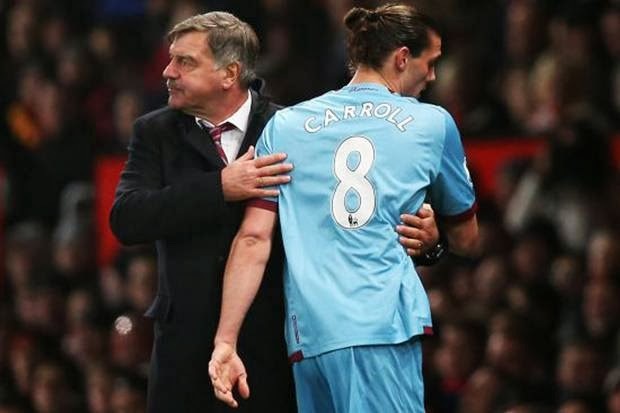 If funds are available in January, Allardyce must bring in an effective back-up for Carroll, as the club surely cannot afford to pin its hopes so firmly on a player with Carroll’s recent injury record. At present, some of the Hammers players are acting as if Carroll is part of the team – Razvan Rat supplies a constant stream of excellent crosses from the left, with no-one there to profit from them, while a lack of support in the centre often forces the likes of Stewart Downing and Matt Jarvis down blind alleys. I am a big fan of Allardyce (he should have got the England job when it was erroneously given to Steve McClaren), which is why I’m surprised that he has not only allowed this situation to develop, but has proved tactically inflexible in recent weeks. When Carroll is eventually restored to the team, it may be the stimulus that sends the Hammers soaring clear of the dropzone. But if he doesn’t return soon, Allardyce could find the light of that media glare spilling in his direction. Dyke's FA Commission is a consequence of his entire career. Here's Marcus Stead's fascinating chronicle on the formation of the Premier League. Greg Dyke's pivotal role in it and the FA Commission, which is a consequence of its runaway success. When the new FA chairman Greg Dyke announced his masterplan for England to win the World Cup in 2022, he effectively admitted what we’ve all known for years: The FA and the Premier League have wholly different objectives. The priority of Premier League clubs is, depending on their status, to win the league, qualify for Europe, or avoid relegation. Developing a pool of players for England selection doesn’t really feature in their plans at all. What isn’t so well-known is the enormous role Dyke played in the creation of the Premier League in the early 1990s. He didn’t realise it at the time, but he created the monster that is now standing in the way of the England team’s development. There are plenty of reasons to welcome Dyke’s appointment as chairman, and his CV makes for interesting reading. He is a man who was nothing special at school, and left with just one A-level, a grade E in combined mathematics. Even this came as a surprise. Dyke’s 20s were largely frustrating and unrewarding years and it was only at the age of 30, when his life hit rock bottom, that he took his first job in television, as a lowly researcher at LWT. His drive, enthusiasm and intelligence saw him rise rapidly through the ranks, and within a few short years he was in charge of ‘The Six O’Clock Show’, one of LWT’s flagship programmes inside London. It wasn’t long before Dyke was appointed Director of Programming at ailing breakfast station TV-AM, where his populist touch helped transform its fortunes following a disastrous start. From there he became Director of Programmes at TVS. After a few years, he was back at LWT in the same role, which, under the rather complex ITV structure at the time, included the title Chairman of ITV Sport. Dyke understood that society, and indeed the television landscape, was changing rapidly. He realised that he needed to move away from general magazine sports programmes and instead focus on live events. He also wanted to take ITV Sport upmarket, along with other areas of the channel’s output. British wrestling was dropped, and the money saved was invested in boxing. Also for the chop were darts, bowls and gymnastics, which saved him around £1.5 million per year. Live football was pivotal to his strategy, however, he rightly realised that the days of the BBC and ITV effectively operating a cartel were coming to an end. Dyke knew that the new pay TV satellite broadcaster, BSB, was keen to grab the rights to live top-flight football, and was willing to pay far more than the BBC and ITV had done under previous deals. BSB had already been networking with the Football League with a view to obtaining the rights, and Dyke had to come up with a strategy. Dyke sought advice from Trevor East, the Deputy Head of Sport at Thames Television, who was a football specialist, having previously been a board member at his beloved Derby County, and a canny operator. Dyke asked East who he could talk to ‘off the record’ and he suggested David Dein, the Deputy Chairman of Arsenal and a member of the Football League management committee. The three of them met at a Japanese restaurant, where Dyke and Dein struck up a close friendship that lasts to this day. Both sides had something to gain from this arrangement. Dein’s view was very clear: The viewing public wanted to watch the big clubs, so those clubs should get the bulk of the TV money, which, until that point, had been split between the 92 league clubs. The three of them came up with a plan. They would go directly to the big five clubs of the day – Arsenal, Liverpool, Manchester United, Tottenham Hotspur and Everton, and offer them a million pounds a year for the exclusive rights to broadcast their home matches. To put things into perspective, the previous deal was worth £3.1 million a year in total, half of which was spread equally between the First Division clubs, with the rest going to clubs in the lower divisions. Certain factors helped Dyke’s cause, such as the fact that Philip Carter of Everton was Chairman of the Football League at the time. Dyke took John Bromley, the late Head of Sport at ITV and technically his superior to the first of a series of meetings, but Bromley was uneasy about a side deal being done, so Dyke simply didn’t invite him to future meetings. At the second meeting, they decided to extend the initial group of five to include five more clubs who would receive a lesser amount, but still substantially more than they received under previous deals: West Ham, Newcastle United, Aston Villa, Nottingham Forest, and Sheffield Wednesday. Dyke’s logic was that with these ten clubs on board, dubbed the ITV Superleague, the Football League could then sell the rights to the rest of the league to BSB, or whoever they liked, but without the big clubs, these rights wouldn’t be worth much. In response, Football League officials obtained a High Court injunction preventing the ‘big ten’ from signing a separate contract with ITV. BSB, by now operating a joint bid with the BBC, upped its offer, and so did Dyke, encouraged by Dein. BSB and the BBC later withdrew amid angry outbursts of ‘negotiation by auction'. Dyke and ITV had won. They reached an agreement to pay the Football League £11 million for 21 live matches, largely from Division One but also including the latter stages of the League Cup, to be broadcast mostly on Sunday afternoons. Meanwhile, BSB and the BBC did a deal with the FA for the rights to the FA Cup and England internationals, but the reality was that for the next four years, there would be no Match of the Day on Saturday nights, except on FA Cup weekends. By the standards of the time, ITV’s coverage, branded ‘The Match’ was innovative and exciting, with computer graphics and more cameras in the ground than before. However, by the standards of today, it would be considered second rate. The contract permitted far fewer live matches than there were rounds of fixtures. They had unlimited access to highlights, with a great deal more flexibility than broadcasters have today, but they chose not to use them at network level. Some ITV regions, especially Granada and Yorkshire, showed fairly regular Saturday evening or Sunday lunchtime highlights of the teams in their areas, but viewers in regions with no top flight teams went without highlights at all. The goals from the First Division were usually crammed into the half-time interval of the Sunday live match, or shown on Saint and Greavsie the following Saturday lunchtime. What’s more, ‘The Match’ only came on air five minutes before kick-off and they didn’t hang around for too long after the final whistle, because it would be time for ‘Bullseye’. Typically, there would be no coverage of the first few weeks of the season, and one year they didn’t bother at all until the clocks went back at the end of October, as Dyke claimed that people would be in their gardens on Sunday afternoons until then. It would be harsh to judge Dyke on these shortcomings. Football was in the doldrums during this period, and it’s worth remembering that the BBC had suspended regular Saturday night highlights not long beforehand, and put NBA basketball on in its place. In comparison to what had gone before, Dyke and ‘The Match’ were a force for good. There were enormous ramifications from this deal within the Football League. The lower league clubs were angry that they’d been cut out of the new deal and took steps that would later do them no favours. They got together and removed Phil Carter as the League’s Chairman and forced David Dein off the management committee This was a real game changer for when the rights next came up for renewal. By the autumn of 1991, it was time for Dyke and East to start thinking about a new deal. They contacted Dein, and arranged a dinner for the ‘big five’ clubs, to be hosted by Dyke in the hospitality suite on the 18th floor of the LWT building on London’s South Bank. Most of the people present were the same as four years earlier, and unsurprisingly, Dyke and Dein had discussed tactics in advance. Dyke opened by saying that he thought it unlikely that they could do another deal with the Football League negotiators that would be as favourable to the big clubs as the last one. He was undoubtedly right about that. Dyke told them that they had a choice: take less money, because the total was going to be spread between more clubs, or take radical action and break away from the Football League. This was a no-brainer for those present. They all resented the way Carter and Dein had been treated by the Football League, and supported the breakaway. Greg Dyke had effectively created the Premier League. Things moved very quickly in the months that followed. The chairmen agreed that if they were to succeed, they needed to get the FA on side. There was no love lost between the FA and the Football League in those days, therefore doing this wasn’t especially difficult. There was just one problem: By this stage, BSB had merged with Sky to form BSkyB, and ITV would be up against Rupert Murdoch and his money as they bid for the rights. East warned Dyke not to be complacent. Having the ‘big five’ on board wasn’t enough, and he needed to spend more time talking to the smaller top flight clubs. Dyke didn’t take East seriously enough. He wasn’t the sort of man who enjoyed making polite small talk in a bid to get people on side. He thought that because his strategy of having the ‘big five’ on board had worked four years earlier, it would work again. He had underestimated the sheer scale of Murdoch’s ambitions, or the depth of his pockets. Dyke had lunch at Langan’s with Sam Chisholm, the brash, mouthy Chief Executive of BSkyB, a New Zealander who was admired and loathed in equal measure. Murdoch had brought him in to save the company, and Chisholm claimed that what he was about to say to Dyke had come from the man himself. Using some rather crude language, Chisholm suggested that he and Dyke get together and share the rights to the new Premier League, to keep one another’s bidding costs down if nothing else. Dyke laughed at Chisholm’s suggestion, and in doing so had made a vital miscalculation. He assumed that Chisholm’s offer to work together was a sign of weakness on BSkyB’s part, and that ITV was in prime position to claim exclusivity as a result. How wrong he was. Chisholm went to Will Wyatt, the managing director of BBC Television, and suggested a partnership – the BBC’s respectability and BSkyB’s money, to give Sky exclusive live rights and the return of weekly highlights on the BBC. The BBC offered around £20 million per year, on the condition that ITV didn’t get live rights. Wyatt was acting with the blessing of the late BBC Chairman Marmaduke Hussey, a former chairman of Times Newspapers who knew Murdoch well, and had already discussed the issue with him. Hussey had certainly gone well outside his remit as BBC Chairman in discussing football contracts in the first place, but it wouldn’t be long before all sides were bending the rules as bidding for the ‘big prize’ became more aggressive. Crucially, around this time Irving Scholar had sold Spurs to Alan Sugar, whose Amstrad firm was the sole manufacturer of Sky’s dishes in those days. Scholar was an ITV man, and for obvious reasons, Sugar was in the BSkyB camp. Some time earlier, Rick Parry, the Premier League’s Chief Executive, had shaken hands with East at a boxing match, informally agreeing a deal which would lead to ITV getting the contract. In the intervening period, Parry had been heavily courted by all sides. Parry then insisted on a proper tendering process, where broadcasters would submit their best and final bids by a certain time, and the merits of each bid would be discussed at the meeting of the chairmen within a matter of days. In the intervening period, Dyke received intelligence from the Premier League that he was in danger of losing. The rules had been broken, and the gloves were off. Dyke and East worked all through the Sunday night before the meeting at the Royal Lancaster Hotel the following day. They hit the clubs with a new offer, which East delivered personally to each club representative. A few minutes after the meeting started, Sugar came rushing out of the meeting and made a call to Chisholm from a public phone cubicle, and East overheard him say ‘You’ve got to blow them out of the water’. What Sugar didn’t know at the time is that Parry had already made Chisholm aware of the offer. Chisholm got the message that he didn’t need to just offer a million pounds more than ITV, it needed to be considerably bigger, and beyond the reach of their competitors. Sure enough, a new bid from BSkyB arrived. The BSkyB/BBC bid saw BSkyB pay £190 million for five years for exclusive live rights, with the BBC paying around £100 million over the same period for highlights. Dyke was deeply unhappy with the nature of BBC’s involvement in the deal, which he thought was a consequence of Murdoch’s close relationship with Hussey. What’s more, without the BBC’s money, ITV’s bid was higher. As the meeting of chairman convened, Sugar, to his credit, declared his conflict of interests, and suggested that he should abstain from the vote. Although David Dein and Martin Edwards of Manchester United agreed that Sugar should abstain, most of the smaller clubs believed he should be allowed to vote. In other words, Dyke hadn’t done enough to try to get them on side, and he should have taken greater notice of East’s earlier warning. It has often been said that Sugar’s vote was crucial in swinging the contract ITV’s way, but this isn’t entirely true. The chairman of Nottingham Forest had promised to support ITV, but he had sent his office secretary to the meeting on his behalf, because no one else was available. That vote in favour of BSkyB/BBC turned out to be crucial, and the contract was theirs. A subsequent High Court challenge by ITV came to nothing. This whole process leaves is with plenty of ‘what ifs’: What if Dyke had taken East’s warning more seriously and had done more to get the smaller Premier League clubs on side? What if Dyke had taken advantage of his meeting with Chisholm and they’d come to an arrangement where ITV and BSkyB could share rights? What if the Nottingham Forest chairman had turned up and the vote had swung ITV’s way regardless? We will never know the answer for sure. Premier League football was, and still is, BSkyB’s flagship product. Chisholm insists the company would have survived without it, albeit with some difficulty. Plenty of others disagreed. Murdoch had taken a massive gamble by setting up BSkyB, and it’s quite possible its failure would have had wider ramifications for his media empire. If BSkyB had sunk, would Premier League rights be sold for the kind of sums they are today? Actually, I suspect they probably would, as the likes of Al Jazeera or the Disney-backed ESPN would have made a substantial entry into the UK market, and in terms of money and the overall level of coverage, we would be more-or-less where we are now, although it’s possible one live match per week would still be shown on free-to-air TV. What is indisputable is Dyke’s enormous role in creating the Premier League in the first place. Now, more than 20 years later, this has come back to haunt him. He created a monster he cannot destroy. Make no mistake, bringing players through for England selection is not a priority for any Premier League club. When signing players, they act in their own best interests. It is as simple as that. They feel no emotional or moral obligation to make Greg Dyke or Roy Hodgson’s lives any easier, or to help England win the World Cup. At his recent news conference, Dyke’s reputation as a straight-talker took a bit of a battering with his use of meaningless business clichés such as ‘going forward’ (you can’t plan for the past, Mr Dyke!). He also referred to ‘challenges’ whereas a real straight-talker would have said ‘problems’, when referring to foreign players blocking the playing opportunities for English youngsters. 1. Why has this happened? 2. What could be done about it? 3. How, if possible, can these changes actually be made? We all know the answer to question one, but Dyke hits a major stumbling block with his second and third questions. There is no point whatsoever in placing a restriction on the number of foreign players in any squad for as long as Britain is in the European Union. One of the key principles of EU membership is the free movement of citizens throughout the union to live and work. For his entire adult life, Dyke has belonged to, and supported organisations that believe in Britain’s continued membership of the EU. He was a member of the Labour Party for decades, and, at various times, was a close associate of senior europhile members of the New Labour project, including Tony Blair and Peter Mandelson. When he fell out with New Labour over the Hutton Report, he soon joined the even more pro-EU Liberal Democrats. He even donated £10,000 to the party to help them fight the 2005 general election. During his time as Director General of the BBC, he did absolutely nothing to put right the institutional pro-EU bias that shone through on their TV and radio bulletins, something his successor, Mark Thompson, eventually admitted was a problem that needed addressing. Unless Dyke or anybody else is willing to advocate Britain’s withdrawal from the EU, the debate about limiting non-English players is utterly futile. I suspect he already knows this. The other thing Dyke really needs to grasp is that this horse has already well and truly bolted. Just seven of the 20 Premier League clubs are English-owned. Only four of the managers are English. Even if a club is English-owned and English-managed, their priority is the club’s progress, not that of the England team. Let’s just imagine for a moment that Dyke has a massive change of heart and spearheads a successful campaign to get Britain out of the EU. Does he really imagine that all the Premier League club owners and managers will then sit around a table with him and devise a meaningful strategy to help England win the 2022 World Cup? It is far, far too late to do anything about this. There is a lack of qualified coaches at youth level; the quality of football coaching in schools is unacceptably low; there is too much emphasis on winning matches and too little on developing skills with children; clubs are too quick to dismiss English youngsters from their academies; children in this country spend far too little time playing football with their mates these days, due to cultural changes over the last 30 years or so. All this is very true, but the questions I have asked are far bigger. The Premier League is Greg Dyke’s Frankenstein. It was largely his creation, and now the beast is completely beyond his control. Hire Jonny Gould for your event. © Jonny Gould 2008-2014 All Rights Reserved @jonnygould. Simple theme. Powered by Blogger.